In her third solo exhibition titled “Gather,” Pin Calacal continues to probe the intricacies of two concepts recurrent in her body of works: the self and the home. She primarily expounds on how these two are intertwined, and the shifts that simultaneously occur based on a person's physical state and social relations. 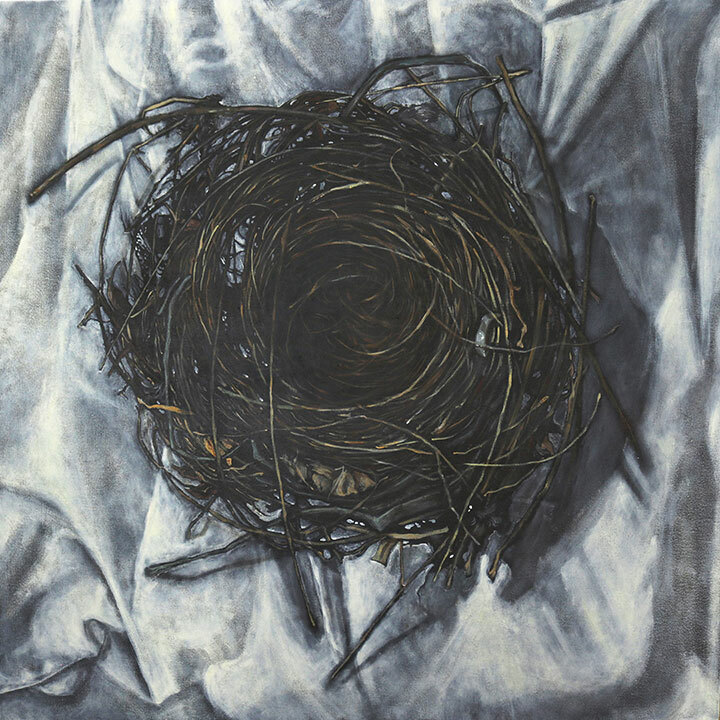 The unraveling of these two concepts are exemplified in Pin Calacal's collection and use of hair as material, as well as her illustration of empty nests and personal clothes – medium and subject matter that are considered manifestations or extensions of one's presence and individuality. 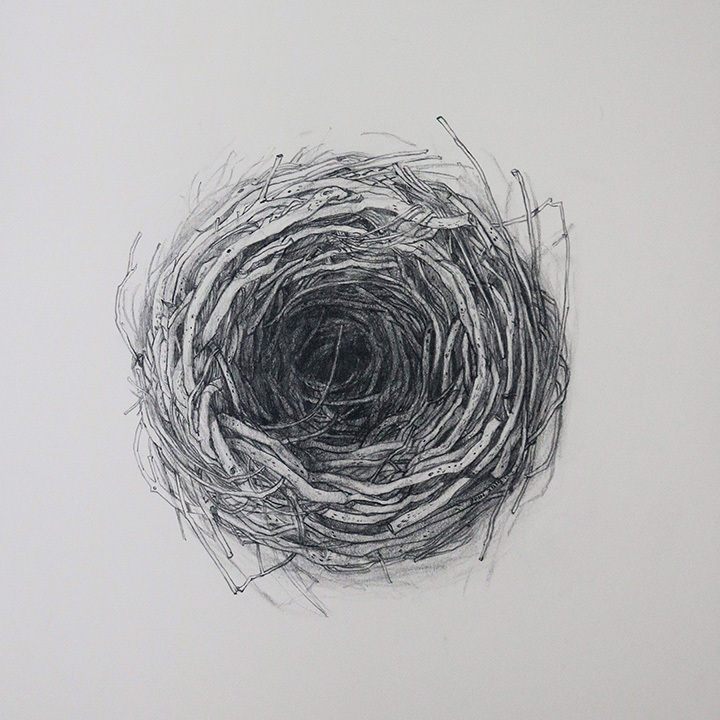 The word “shed” becomes central to the theme of artist Pin Calacal’s works in “Gather”. 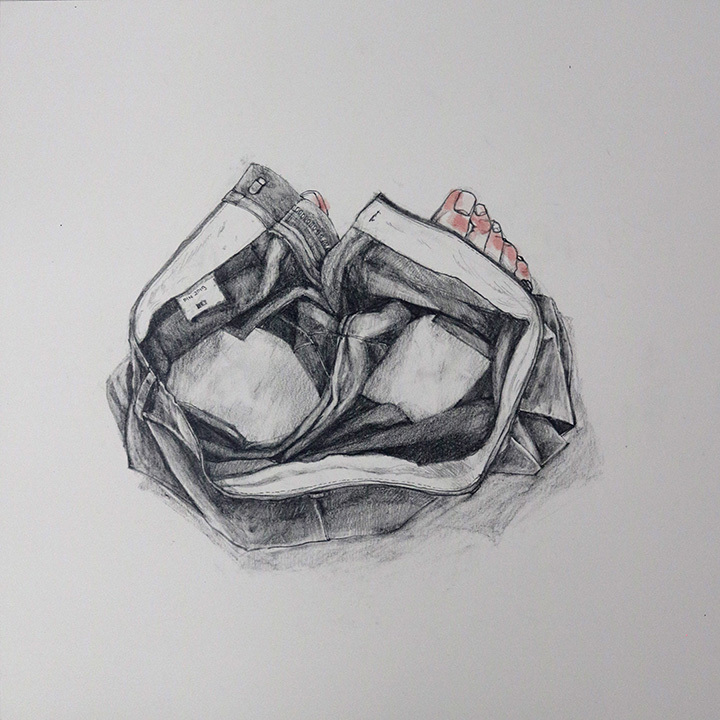 Here, the artist is aware of the uncontrollable forces that permit the removal of articles from the body, like hair and clothing; items that once were, at some point, parts of the self and of the identity. Calacal, then, gathers these entities to form works, in an attempt to make sense of how these fragments could provide a redefinition of personal space to re-examine our notions of what embodies a home. Dealing with Myasthenia Gravis, a chronic autoimmune neuromuscular disease that causes weakness in the skeletal muscles, Calacal’s works have always been anchored in the artist’s fixation on the idea of control where the physical body acts as the device that holds things together. 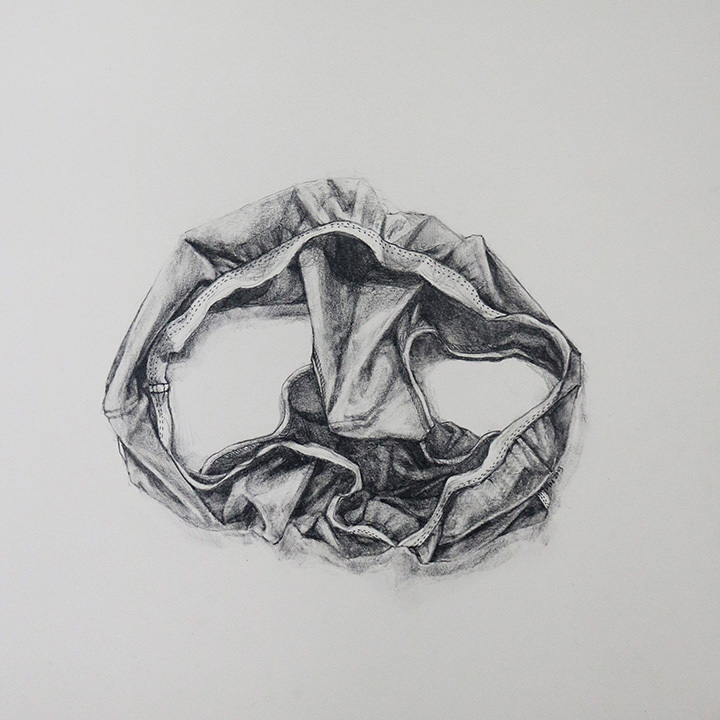 Taking cue from this thought, Calacal intervenes and collects those that had been discarded away from the self; from these, she either creates drawings or paintings in their image or assembles random objects for ephemera, which is a practice in asserting one’s power from a wayward situation. 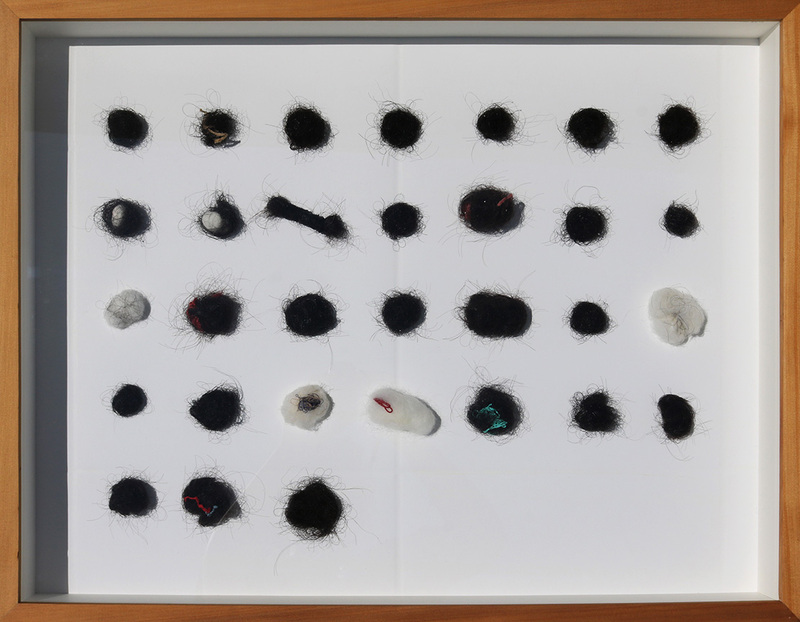 An interesting part of this exhibition comes in the form of collected balls of hair. Each ovoid depicts an indexical representation of the amount of time spent on waiting as the artist’s family (composed of herself, her mother, and sister) awaits the completion of an apartment renovation, which would later become their new home as they depart from a complicated household situation. In some ways, the balls of hair remind Calacal of the days when her mother would sweep into a dustpan the strands of hair from the floor, those that were shed from the head; a quiet but telling way of gathering strength in the process of renewal and acceptance that are both happening in the body and in the mind. Calacal, in retrospect, likens this act of “shedding” to the constant unraveling of the self. Within these parameters, we are allowed to reflect on how the body casts off itself uncontrollably, purging out an act that forces us to concede to the realities of things as they happen. 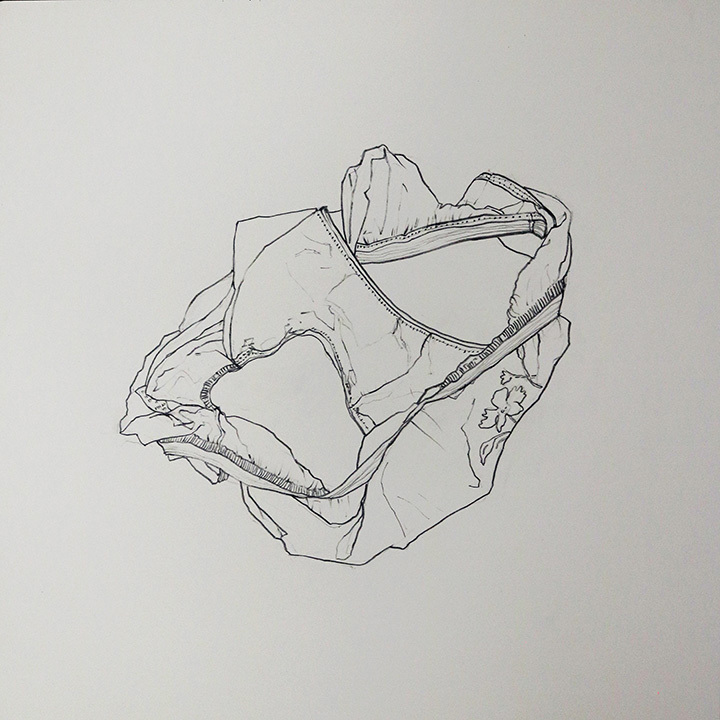 Through the parts of ourselves, which were already depleted from us, we gather these fragments back into an amalgam of what defines a home, like how a bird collects different things to build a nest--- a temporary space that provides an abode to a new life. 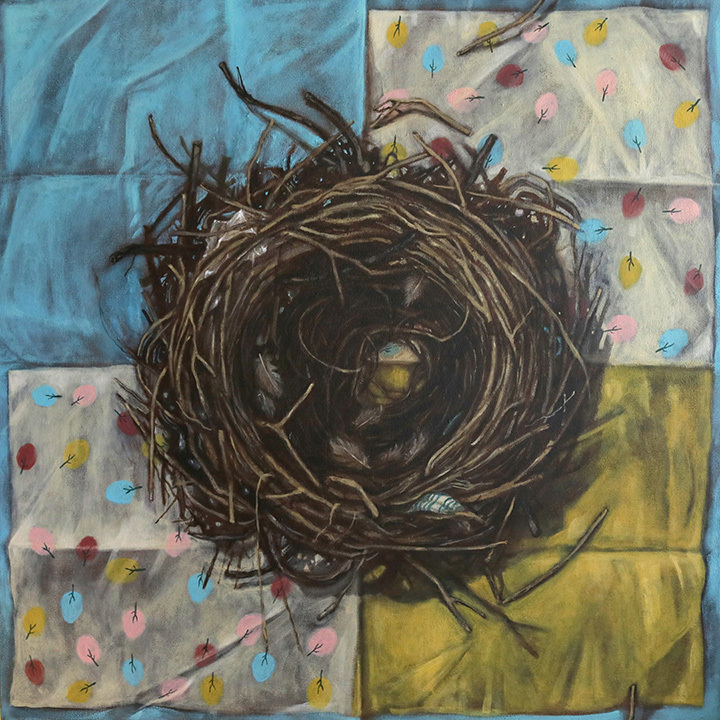 In this show, the nests function as portals of belonging as they contain random materials that declare or portray the existence of being: an empty nest; a crowded roost; a snugly sojourn. Calacal reflects more from the act of shedding; imparts in a process where one is given the ability to gather and arrange a home that would forego the physical structure of safety, control, and residence. However, what we take from what we have lost are almost always never the same things. Here is an opportunity to govern how we would like to live in this world. The knowledge to discern and discard is only as important as our capacity to move forward.